It was a hit piece on Jews and Israel. In a most contorted and disconcerting way, the observance of Martin Luther King Jr.’s birthday Monday was used by the fake-news purveyors of The New York Times to take yet another shot at the Jewish state. The writer, Michelle Alexander joined the Times editorial board last year. We don’t know much about her other than her now-proven ability to criticize and come after Israel in a most circuitous way, which was possibly done only so that she could prove that she is qualified to serve on that once-distinguished board. Her objective, obviously, was to somehow honor Dr. King. But to be able to do that while questioning the very legitimacy and existence of today’s Israel might be considered by the Times as the equivalent of bowling a strike with your eyes closed. Dr. King was murdered by an assassin more than 50 year ago, just months before the outbreak of the Six Day War that redefined the map of Israel and that part of the Middle East. In her piece, Ms. Alexander discusses Dr. King’s position on the then-fledgling Vietnam War. King’s advisers counseled him not to speak out on the war, but Reverend King did not listen and felt compelled to speak out against the war. At the time, there were already over 400,000 American troops on the ground in that part of Southeast Asia. With that in mind, the writer jumps ahead a half-century and wonders, in writing, what Dr. King’s position would be on the matter of Palestine and what she says is Israel’s oppressiveness and, of course, the so-called “occupation” of Palestine. And the official Palestine Liberation Organization and Palestinian Authority policy on peace has never been revised. They still insist and maintain that Jerusalem be divided and that Israel evacuate settlement communities and withdraw from all of Judea and Samaria. While that is both an outdated and moot approach to peace, it is, oddly enough, the policy supported by Michelle Alexander in her piece in last Sunday’s Times. She writes that at one point in the 1960s, Dr. King was invited to visit Israel but in the end did not make the trip because he was afraid of upsetting a faction of his supporters he felt might be critical of such a junket at that point in time. The Times writer conjures up images of Dr. King as the nation celebrated his birthday on Monday, but even though he was murdered more than 50 years ago, for some reason she still feels compelled to say that had Dr. King lived, he would be just as critical of Israel policy today as he was of Vietnam in the 1960s. Ms. Alexander points out her unhappiness and that of Dr. King’s, possibly, for the lack of any negotiations taking place in that region of the world. She points to the dire living circumstances in places like Gaza and the fact of the almost-weekly deaths of Arab protesters on the Israel–Gaza border. At the same time, however, the writer fails to deal with the very good and real changes on the ground in Israel, as well as the ongoing changes in Arab countries and the alterations in their relationship and attitude toward the Jewish state. Ms. Alexander neglects to deal with new realities on the ground and in the diplomatic arena as it affects the Middle East today. Using the idea of dividing Jerusalem and withdrawing all Jews from the West Bank is practically tantamount to an old canard that is really and truly no longer relevant. Regarding the wealthy Gulf States — Saudi Arabia, Kuwait, Qatar, UAE, and Bahrain — as well other Mideast countries such as Egypt and Jordan, all the Palestinians get from those countries is millions of dollars and a great deal of lip service. The Palestinian cause has become a nuisance to the Gulf States and a matter that rarely appears on their current agendas. Ms. Alexander also fails to mention that the United States, almost a year ago, recognized Jerusalem as Israel’s capital and relocated our embassy there. We know it is the leftist practice to ignore moves made by President Trump, consider them illegitimate, and hope to work in the direction of someday reversing those meaningful and important moves. Unfortunately, terror attacks take place today with regularity in countries like Afghanistan, Pakistan, and Iraq. That scourge has been dealt with effectively by the wall Israel built limiting Palestinian access to the main parts of the Jewish state’s capital. 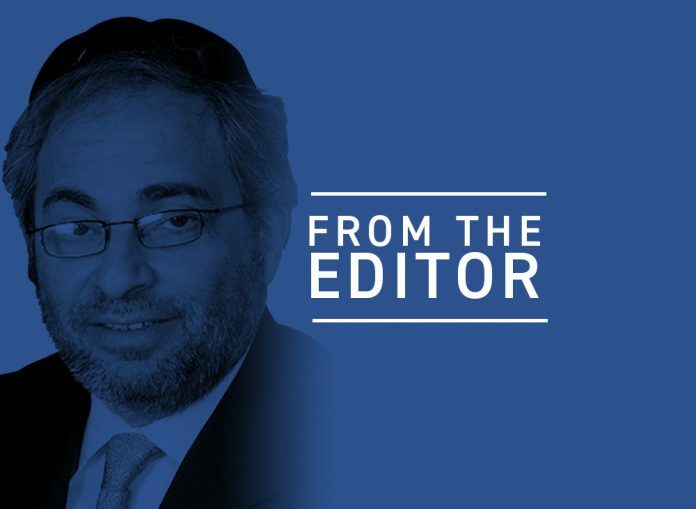 That terror does not work in advancing any group’s idealistic aims and objectives is widely recognized — with the exception of groups like Hamas in Gaza as well as in parts of Judea and Samaria. Thousands of Gaza Palestinians gather every Friday at the border with Israel with the hope of crashing through the border and having the opportunity to attack nearby Jewish communities and murder innocents. This is referred to in the Times piece as Israel’s killing of Arab civilians. A report recently issued by the IDF states that the majority of the deaths at the border were caused by terrorists and not by Israel trying to defend its citizens. But the Times editorialists, this time joined by Ms. Alexander, do not buy into that statistical reality. How Dr. King gets dragged into this debate is a bit puzzling. OK, we celebrated his birthday on Monday, but isn’t there a more apt or interesting way to commemorate it than seeing it as an opportunity to bash Israel and Jews? There is at least one honest observation that Ms. Alexander made, and that is her statement that she is not sure how Dr. King would feel about the Israel–Palestine issue after all these years. After all, she says, in all likelihood Dr. King would be conflicted on this matter. The reality is that in the aftermath of the Holocaust, Dr. King supported the creation of Israel. He also was grateful, she says, for the vast Jewish support of the civil-rights movement he was leading. Previous articleBagel Store: Why is Everyone Talking About Shtisel?